Today was my lucky day!! 2 tickets for me and one of my concert buddies. Same thing today. With only 50 pairs available each day WOW sold out in seconds. I got in fine. I set up account yesterday. It had me in the que.. Then next page never asked how many tickets? Then nothing. I will be ready in morning and hope I get one dang ticket. I got in when the clock changed to 10:00 and had 2 tickets but by the time I was verified as not a “bot” it was sold out, all before the clock turned 10:01. 10:02 got none available. Was sitting in the que and ziltch! I only NEED one ticket, anyone here get tickets? I have not received the pre-sale ticket link and I signed up as a member on this website...My e-mail again is brightraven70@yahoo.com. Please send me the link. I want to go to this show more than anything. 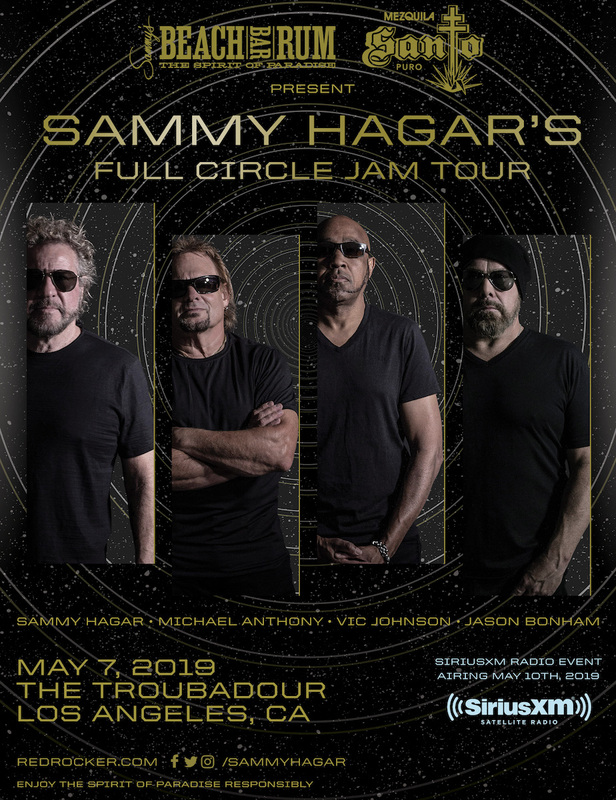 I'm a huge Sammy Hagar fan and I love his band The Circle!!! I never was emailed a presale code. I signed up last week. Please send ASAP as tickets go on sale in less than 30 minutes. I never got emailed a presale code. I signed up last week. Please send ASAP! I didn't receive the newsletter is the pre sale code 'REDHEAD' ?? Hi there, would you be kind enough to message me the presale code? I didn’t get the email for some reason. I've been on the newsletter list but didn't get the email with the password for the Troubadour show yesterday. If someone could send it to ramord@juno.com I would be forever grateful! is the presale password 'REDHEAD' ?? Hi there. Did you get the email with passcode yet? I’m on the list and haven’t received it yet? Hello folks, I’m on the email list but haven’t seen an email with the presale code yet. Any ideas? Help a fella out, Sammy. anyone get the code yet?? Hey there! I didn’t receive an email...been waiting all day! I’m guessing you got one? I didn’t get a link and password like it says up above. I want to get tickets for my husband so badly. He is in the military, and I swear he is always gone or we buy them, and he has to go with a surprise deployment or travel each time we have got them! He is actually home this go round and I have been signed up for awhile. I would love any help in getting the link and password if anyone can do so! Has anyone got today's newsletter? Anyone got the pre-sale code? I tried to sign up when I check the box saying sign up for newsletter but when I hit save it goes un checked again. If someone can post it here that would be awesome. I’m waiting for the presale code! Anyone get the password emailed yet? Hey all, any word on Troubodor tix? You guys were great on the show yesterday, by far your best appearance on Stern. The sound was great, it took me back to the cow palace on the OU812 tour. I met S.H. years ago, he was as authentic then as he is now. Please keep me informed of The Circle show at the Troubadour.